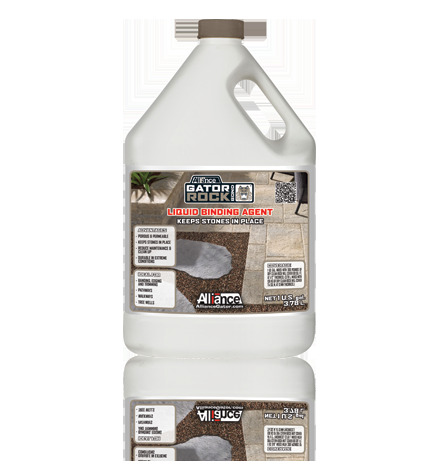 Mixed Gator Rock Bond with 100% washed and dried riverstone creates a durable permeable and decorative surface. Great for garden pathways where erosion and drainage is a concern, at the same time, it reduces maintenance and clean-up and is durable in extreme conditions. Sold by the 1-gallon container.